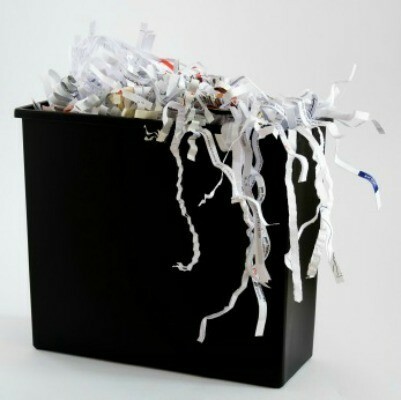 Whether it's from shredding papers or from packaging material in something you received, shredded paper can take up quite a volume of space. There are plenty of other uses for all that paper though. This is a guide about uses for shredded paper. I am a person who shreds all of my paper with my address on them and here are some hints what I do with it. I save all zip lock bags after many uses when I want to send a package I fill those bags with shredded paper put a note in the package and ask the recipient to save and use in the same way. I line the bottom of my kitchen trash bag with shredded paper to absorb any moisture. Hope these hints will help. Have a wonderful day. To prevent the use of styrofoam peanuts (don't you hate those things flying around when you open a box), I use the paper in my shredder. I place it in a Walmart/plastic bag and use as packing material. You can squish it around about anything to protect from movement. The receiver is grateful as no peanuts or loose shredded paper to deal with, all is contained in bag. Excellent for fragile shipping. I always write "PLEASE RECYCLE" on the outside of the bags so they will do the same or maybe save for later use. To make curlicues out of shredded paper for Christmas presents; you take regular shredded paper and wrap it around a knitting needle, or larger bamboo skewer, (did you know that bamboo is the only really waterproof wood) and spritz it lightly with a mister bottle, then place it in a warm place, or oven, to dry; this is another way to curl yarn for dolls hair. Source: This has been taught by crafters for years, the technique can be used on almost any paper or yarn. We have a local pet shelter here that likes the community to donate shredded paper for the animals. They have may uses for the shredded papers. I have a large paper shredder which I use to get rid of junk mail and anything else I don't want to go into the trash whole. When it is full, I have a large trash container in the garage to dump all the shredded paper into. While watching television, I cut up our used newspapers and add to the bag of shredded paper. When I have several full bags, I run them by the shelter while out running errands. Our shelter uses them to fill donated pillow cases for the animals to lay on and also for puppies to play in. This is a great way to recycle your junk mail and newspapers. You can make your own free gift bag/basket filling by simply recycling your junk mail store ads, newspaper ads, or old wrapping paper. Run it through a shredder and there you go. 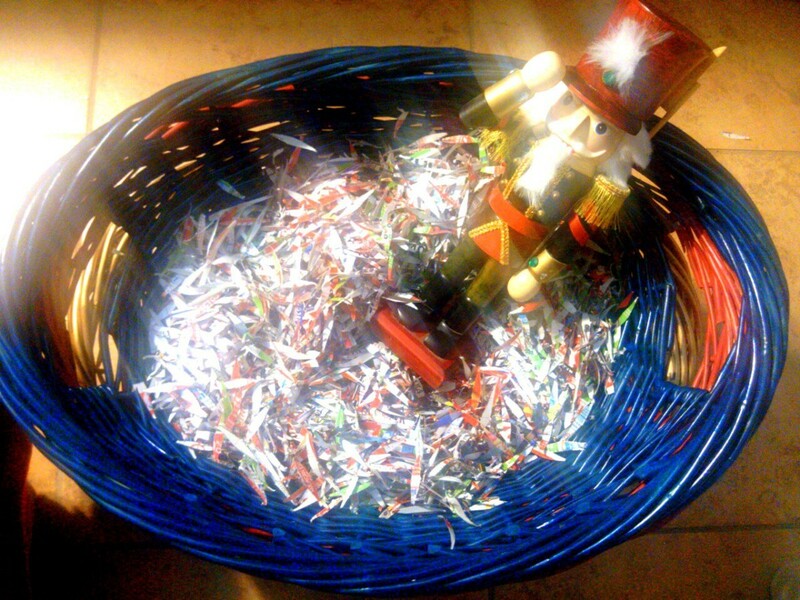 When I make a gift basket, I use the shredded paper from my shredder for filler. Sometimes I shred some colored paper, a comic strip, or some left over gift wrap and use it on top of the plain shredded paper for a fancier basket. Instead of throwing out your mounds of shredded mail and documents, keep them in plastic trash bags (which will keep them dry and clean) and use as shipping package stuffing when needed. Shred your old e-mail paper and use at the bottom of your bean/pea trench. It retains any moisture and keeps beans happy. I am a VFW Ladies AUX member and I'm always looking for ways to help people and the environment in San Antonio, Texas. I am just wondering where we can donate our shredded paper? Go to any garden center. Any place that composts will be happy to have it. Once shredded, unglossy paper is a great addition to a compost pile, where moisture and worms will turn it into a rich soil addition. This is a guide about how to compost shredded paper. 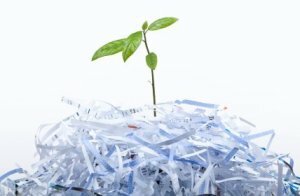 This is a guide about using shredded paper in the garden. Use your recyclable paper in the garden. Shredded newspaper or similar newsprint type paper can be used in the place of traditional cat litter, to save on pet expenses. This is a guide about how to use shredded paper for cat litter. I'm looking for ideas on how to recycle shredded paper. My city does not accept it in their recycling program. I've considered using it for shipping packages, but it would make a big mess for the receiver. People sometimes make mistake when they say they don't accept shredded paper for recycling. 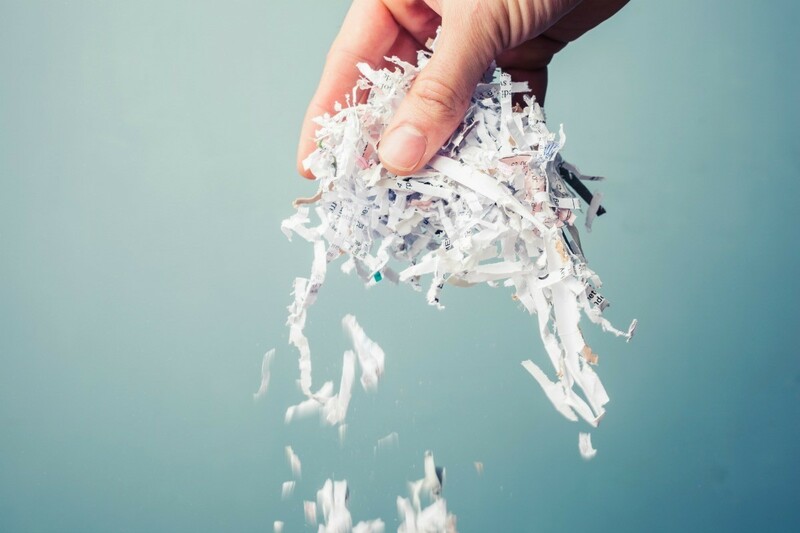 Sometimes used paper IS on their list of items they recycle, but they interpret "shredded paper" as something different from plain paper. 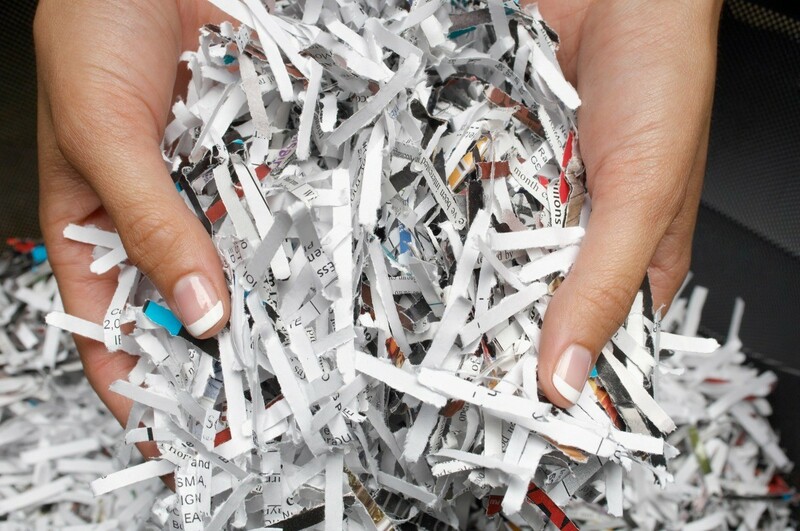 As paper is recycled by shredding and mixing into a pulp anyway, they should accept it as paper. This is a common misunderstanding -- paper is the most commonly recycled material. Archive: Uses for Shredded Paper? I bought a paper shredder at Christmas, and it has done wonders in helping me get better organized. The shredder cuts in two directions, so I'm left with lots of 1.5-inch by .25-inch pieces. I save the shredded paper and then stuff it in grocery sacks to use like "shipping peanuts." Also, in the spring I'll be able to use lots of it as mulch when I'm tending my flower and veggie gardens. Still, I wondered what other ways I could use this shredded paper. This probably wouldn't work for the small pieces that you get from your shredder, but if you have the kind that makes long thin strips, how about using them for quilling crafts? To stop the birds eating my newly sown seeds, I cover them with a small amount of paper from my shredder.